Shabana Azmi is undoubtedly one of the greatest Indian actresses ever, having won a record 5 National Awards for Best Actress. She, along with Smita Patil, Naseeruddin Shah and Om Puri, is one of the leading performers of Indian parallel cinema or the ‘Indian New Wave’ of the 1970s and 80s. What’s more, Shabana proved herself to be adept at mainstream Hindi cinema as well and was a major Bollywood star right through to the mid 1980s. The FTII opened up new avenues for Shabana, in particular the exposure to cinema from all over the world. She was particularly taken in by the films of Swedish Master Ingmar Bergman and the masterful performances he extracted from his actresses like Harriet Andersson, Ingrid Thulin, Bibi Andersson and Liv Ullmann. Shabana graduated from the FTII in 1973 and signed on KA Abbas’ Faasla and began work on Kanti Lal Rathod’s Parinay. Benegal and Shabana formed a working relationship that would see them doing some memorable films together like Nishant (1975), Junoon (1978), Mandi (1983) and Hari Bhari (2000). Shabana had her first brush with mainstream Hindi cinema as well, Dev Anand’s Ishq Ishq Ishq (1974) though in a thoroughly undemanding role. One of Shabana’s early successes in mainstream Hindi cinema was Fakira (1976) opposite Shashi Kapoor, which led to more mainstream roles such as Amar Akbar Anthony (1977), Parvarish (1977), Swarg Narak (1978), Devata (1978), Amardeep (1979) and Thodisi Bewafai (1980). With her success in Bollywood, Shabana became a star and while not many of her commercial films exploited her brilliant histrionic abilities, their success did give Shabana the power to get more of her middle-of-the-road and arthouse films filmed and what’s more gave them a certain visibility as well. She expertly balanced her commercial success with some extremely fine performances in more sensible films like Swami (1977)( winning her first Filmfare Award for Best Actress), Shatranj ke Khiladi (1977), Kissa Kursi ka (1977), Junoon (1978), Sparsh (1979), Hum Paanch (1980), Albert Pinto Ko Gussa Kyon Aata Hai (1980) and Namkeen (1982). Arth (1982) won Shabana her second National Award for Best Actress and the first of three years in a row! As the woman dumped by her husband and who ultimately stands up on her own two feet, Shabana is absolutely brilliant in the film. Be it the scene over the telephone, where she pleads with the other woman to return her husband to her or where she drunkenly accosts her nemesis at a party calling her a prostitute or asking her husband at the end that if she had had an affair would he have taken her back, Shabana’s performance is simply astounding. Admittedly she has the author backed role in the film and and has the audience sympathy on her side but there were also those who felt that Smita Patil scored in the more difficult and demanding role of the schizophrenic other woman, supposedly based on Parveen Babi. In fact, the 1982-83 period was a golden period for Shabana’s career. In 1983 at the Filmfare Awards, 4 out of 5 nominees for Best Actress were Shabana Azmi for Arth, Masoom, Avtaar and Mandi (The fifth was Sridevi for Sadma)! 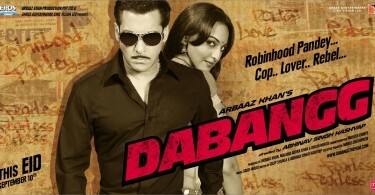 Shabana won for Arth. Of these, special mention must be made of Masoom (1982) and Mandi (1983). Masoom (1982), Shekar Kapur’s debut (incidentally, Shabana was said to be involved with Shekhar) is a fine adaptation of Eric Segal’s Man, Woman and Child. The film showcases Shekhar’s unique ability to handle children (further evidenced in Mr. India (1987)) and sees fine adult performances from Naseeruddin Shah, Shabana, Saeed Jaffrey and Tanuja and charming ones from the children – Urmila Matondkar, Jugal Hansraj and Aradhana. Shabana’s metamorphosis as she finds out about Naseeruddin Shah’s affair with Supriya Pathak and the presence of the result of the affair in her house a son, Rahul, is amazing as she goes from being hurt to angry to finally accepting the boy. The sequence where she looks tenderly at Rahul when told he made the bangle box for her birthday and then suddenly remembers who he is and changes her expression shows a fine actress at the peak of her acting prowess.Mandi, based on the classic Urdu Short story Anandi by Pakistani writer Ghulam Abbas dealing with a brothel in the heart of the city saw Shabana put on sizeable weight and carry the part of a brothel madam with elan. 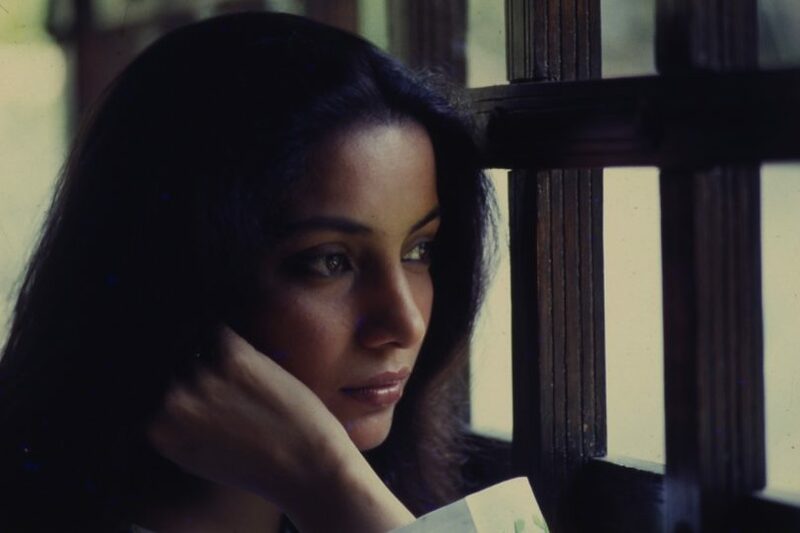 Shabana would go on to win the National Award the following two years for Mrinal Sen’s Khandhar (1983) and Goutam Ghosh’s Paar (1984), thus making it a unique hat-trick while winning the Filmfare Award for Bhavna (1984) as well. Even as she continued with fine performances in films like Ek Pal (1986), where she opts to have her lover’s child and Pestonjee (1988), playing the Parsee shrew to perfection, Shabana went international with John Schlesinger’s Madam Souzatzka (1988) and La Nuit Bengali (1988). Though Madam Souzatska focuses on the relationship between Yuline Souzatska (Shirley MacLaine) and Manek (Navin Andrews), Shabana was more than noticed as Manek’s mother, Sushila who wants her talented pianist son to start giving concerts so they can make money as against the wishes of his teacher Madam Souzatska. Shabana also went on to deliver some extremely impressive performances in other international films as well such as Roland Joffe’s City Of Joy (1992), Immaculate Conception (1992) and Blake Edward’s Son Of The Pink Panther (1993). Godmother (1999) won Shabana her fifth National Award for Best Actress. 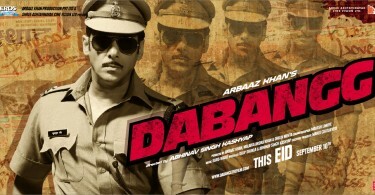 The film is inspired by the life of Mafia queen and former Janata Dal MLA Santokben Jadeja. Godmother is the story of a woman who dares to rule a man’s world. Shabana plays ‘godmother’ Rambhi who enters politics and uses her power to improve the wretched condition of her people at one end and and playing the power game, ruthlessly eliminates those who dare come in her way at the other end. Rambhiâ€™s characterisation is fascinating and complex – the film follows her compassion, ruthless cunning, her hunger for power, the dulling of her conscience and its final awakening. The beautifully constructed script, Vinay Shukla’s impeccable direction and a beautifully fleshed out performance by Shabana makes it a fine film and one of Shabana’s most memorable roles. Following Godmother, Shabana has made a major impact in ‘multiplex cinema’ with strong, reliable performances in Makdee (2002), Morning Raga (2004), 15 Park Avenue (2005), Honeymoon Travels Pvt. Ltd. (2007), Loins Of Punjab Presents (2007) , Sorry Bhai! (2008), the disappointing It’s A Wonderful Afterlife (2010), The Reluctant Fundamentalist (2013), Jazbaa (2015) and Neerja (2016). Apart from her film-making duties, Shabana has also been seen on stage in the play Tumhari Amrita co-starring with Farooq Sheikh. She has also been a member of Parliament, nominated to the Rajya Sabha or the Upper House in 1997. She has also been a committed social activist, active in fighting AIDS and injustice in real life. She has participated in several plays and demonstrations denouncing communalism. In 1989, along with Swami Agnivesh and Asghar Ali Engineer, she undertook a four day march for communal harmony from New Delhi to Meerut. Among the neglected social groups whose causes she has advocated are slum dwellers, displaced Kashmiri migrants and victims of the earthquake at Latur in Maharashtra, India. Shabana has won various awards in her career both inside and outside the world of cinema. Apart from her National and Filmfare Awards, she has won International Awards for Best Actress for Libaas In North Korea (1993) and and as mentioned above for Fire at the Chicago International Film Festival (1996). Awards outside cinema that she has won include the Padma Shri from the Government of India (1988), The Rajiv Gandhi Award for “Excellence of Secularism” (1994) and the Gandhi Foundation International Peace Award for her work with the slum dwellers of Mumbai (2006). Shabana is married to well-known scriptwriter and lyricist Javed Akhtar.